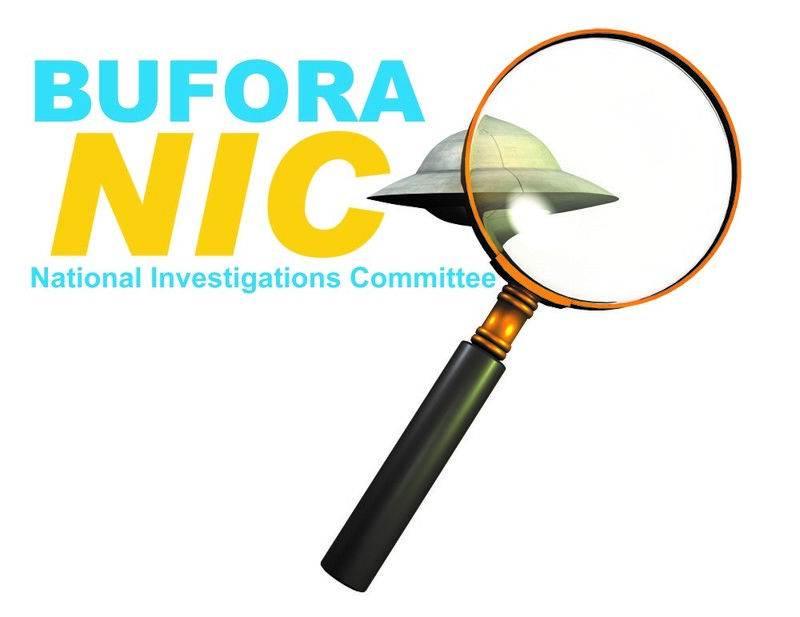 At BUFORA, we receive many visuals (both photographic and video) in support of UFO sighting reports submitted by the public, and these can help enormously in our efforts to determine what possible objects or causes may have contributed to that particular sighting report. BUFORA find that up to 98% of all ‘UFO’ sighting reports can, where sufficient evidence is available to enable a definitive identification, be shown to have a perfectly rational most likely explanation. Therefore, as a responsible scientifically based organisation, it is good practice to initially apply a ‘sceptical filter’ and robustly evaluate the objective reality of each case individually, rather than ‘casting subjective witness thoughts and comments in stone’ when evaluating what appears to have been captured on their photograph, because when compounded with possible personal ‘belief systems’ all sorts of groundless interpretations could occur. I attempted to highlight in my previous BUFORA website article‘Analysis of UFO photographs’ how perfectly normal everyday objects, such as birds and planes for example, can easily be misidentified as something anomalous, for which there is absolutely no evidence. I am not blaming anyone for doing this, and many years ago I submitted a photograph to a UFO magazine which I had taken of an unidentifiable small black dot in the sky and received no response. I was initially quite taken aback at this lack of communication from them but later on after I had completed the Investigators’ Training Course and as an Accredited Investigator went on to evaluate sighting reports, I found that it is very common for people to read more into something than the actual evidence supports. I do try and take the time to respond individually to each and every sighting report that comes my way, even those ‘low definition/ low value’ sighting reports typically consisting of one paragraph with a vague description or showing a small black dot or similar in the photograph, which typically was not seen with the naked eye at the time, and although the object cannot be definitively identified, there is almost certainly a conventional explanation for it. Consequently, I can now see that the magazine would have been constantly bombarded with photographs, most likely of birds such as my photograph may have been, and probably had insufficient time to respond to everyone who submitted similar images as their central focus had to be on the production of their magazine. I digress slightly, but feel the need to share with those readers, who are interested in the reality of analyses of ‘UFO’ photographs, the nature of images and footage submitted to BUFORA which I did not cover in my previous article. This is the area ofreflections and how they may be misinterpreted as ‘solid objects in the sky’ and thus potentially skew any serious attempt at identifying the’ object’ that actually appears on some of these photographs. The bottom line is we need to be able to separate the wheat from the chaff; after all, how can we hope to assess the ‘2%’ if we can’t even work out a rational explanation for the other ‘98%’? Before I show you a few actual photographic examples, I would like to illustrate some of the different ways reflections can be captured on camera. 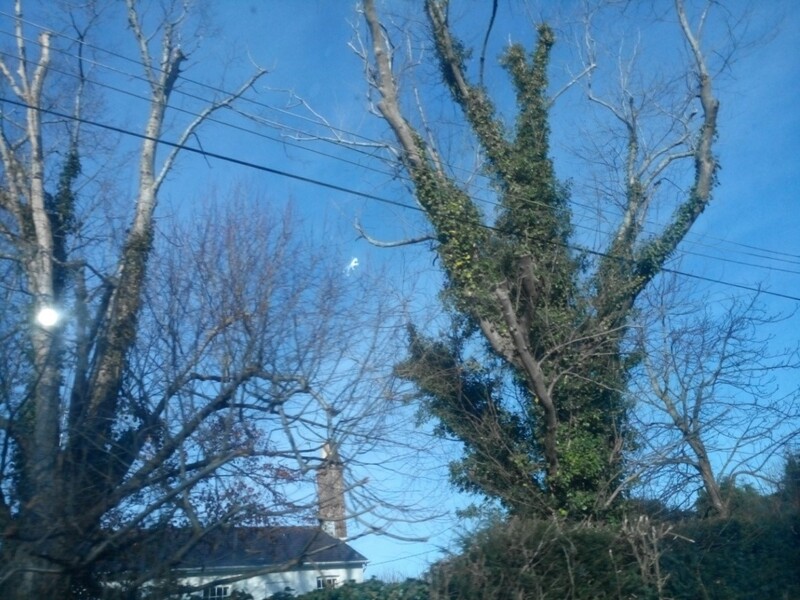 Photographs taken through a window (usually house or car) where something inside the car or house is reflecting light onto the inside of the window which then ‘appears’ to be a solid object in the sky when viewed or photographed. Photographs taken of, or in the rough direction, of a bright light source, where internal reflections within the lens or camera can again make it ‘appear’ as though there is a physical object present in the sky. 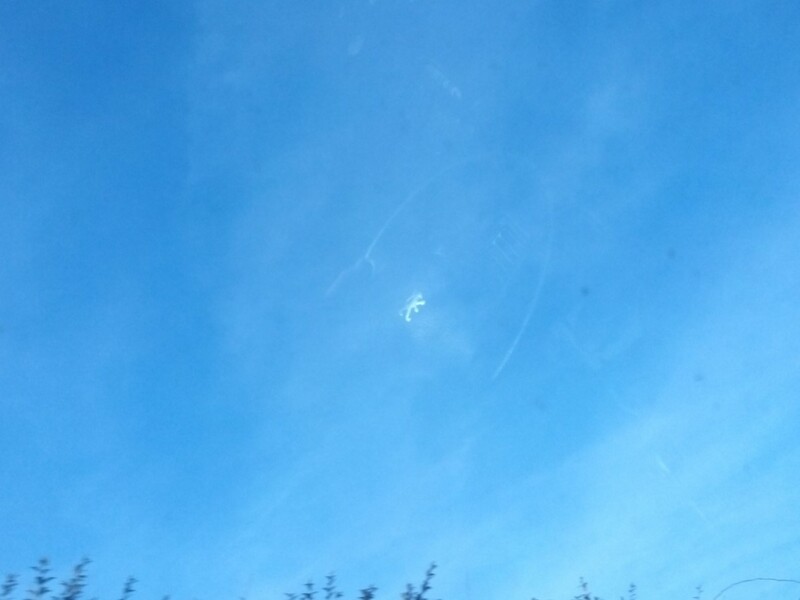 Photographs taken through glass upon which a droplet of water diffracts and reflects light, again falsely making it appear that there is a solid object in the sky. 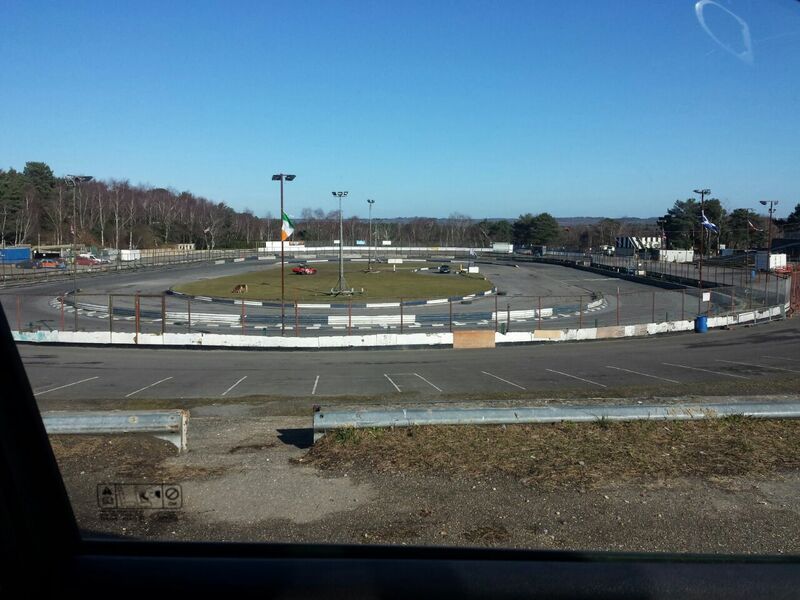 Examples of photographs where something from inside a vehicle is reflecting onto a window. Here we can see what could perhaps be described as ‘an orb’ floating in front of the tree to the left, plus ‘a strange shaped craft in the sky’ apparently further away behind the trees… but let’s look at the next photograph in the sequence as this can often reveal further evidence. The ‘strange craft in the sky’ can now be identified as the reflection of a silver Peugeot emblem from the cars steering wheel– if you zoom in a little, the edge of the steering wheel can also be ascertained. My certainty of this is helped by the fact that I took the pictures to demonstrate this fairly common phenomenon. 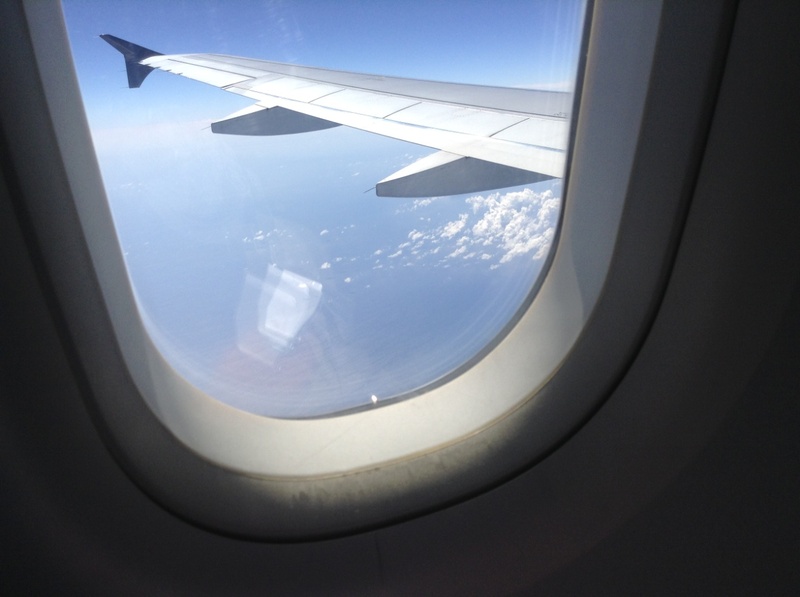 Here are a couple of interesting photographs I re-created whilst on a plane in response to a witness who had photographed three ‘orb shaped UFOs’ out of his plane window. The double-glazed plane window seems to produce three reflected images from something inside the cabin reflecting the Sun onto it including what can be clearly be seen below as my purposely included belt buckle. 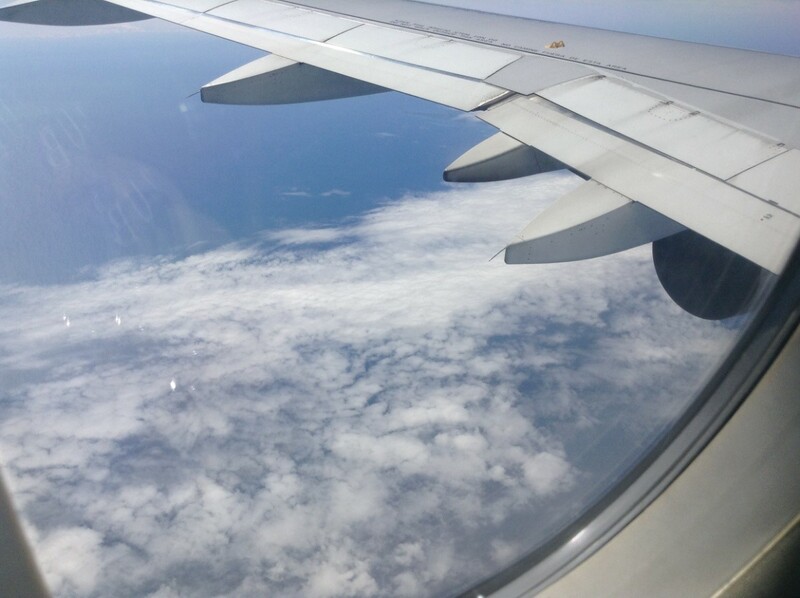 So, if you see three white orbs through a plane window, it’s probably worth checking for reflections by moving your head from side to side to see if the ‘object’ moves ‘in synch’ as a reflection will do. The last photograph in this category shows an apparent UFO in the top right hand corner. Or is it? Looking at the bottom left corner one can clearly see that the photographer was inside a car – looks like passenger side front to me by the shape of the B post, so we need to at least consider a reflection. 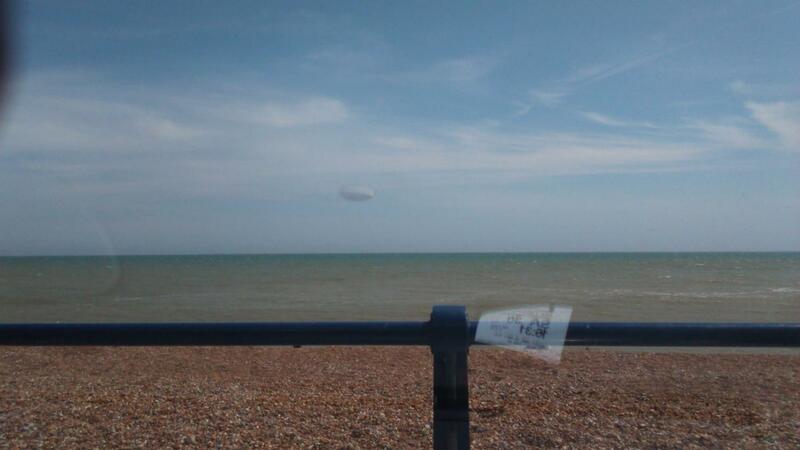 In this case the ‘object in the sky’ very closely resembles the reflection of a ‘cup holder’ on the car’s dashboard, so I suspect this is most likely to be what it is. Examples of internal camera reflections – sometimes know as ‘lens flare’. We had a photograph submitted from someone who had spotted what appeared to be ‘an odd shaped craft in the sky’ on Google Earth. When you look at the image below which is a representation of how it looked, the witness might perhaps be forgiven for describing it as a ‘classic flying saucer shape’, leaving energy trails behind in the sky’, and as the location was Roswell, New Mexico, or perhaps it was Dulce I forget now, maybe this might be taken by some as ‘additional evidence’ in support of the witness’s initial identification? To try and get to the bottom of this, I entered the coordinates onto GE myself and found the same image, thus ruling out the likeliness of paint-shop type image manipulation on his submitted screenshot photograph which should always be initially considered as a possibility. I then ‘moved’ the viewing position up and down the road to see if the same image in the sky could be seen from different places and found that it could but only when the Sun also appeared directly and bright in the shot, and this made me consider lens flare might be the cause. 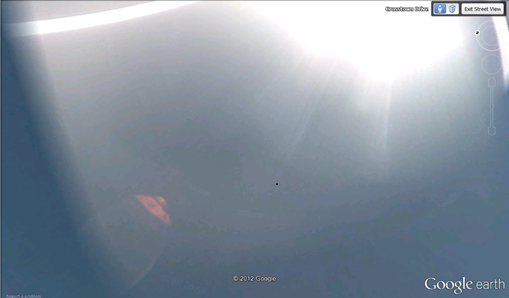 I actually found that I could view other GE images from different US states, and even different countries, and as long as they were taken into the bright Sun then there was a good chance that by moving up or down the street a bit – presumably until the correct angle between the Sun and the camera was found, then this same or similar ‘UFO’ type image could be made to appear. I have no idea why or how the lens flare caused by the Sun reflecting off the lens or internal working parts of the Google camera should appear in this ‘UFO’ shape, but it clearly does. 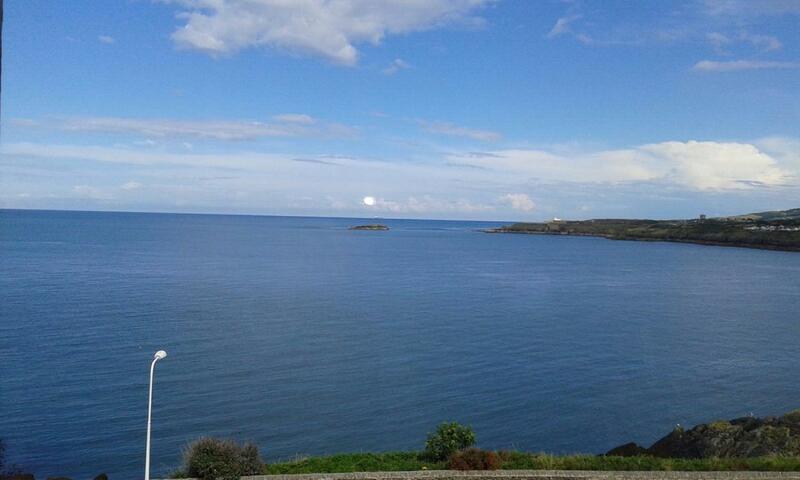 In the photograph below, one can see what appears to be a large bright object just above the horizon or perhaps just above the small island – depending on your viewpoint/ perspective. If you zoom in on the computer you will also see what appears to be a further two smaller bright circular objects, although one can now see that the larger ‘object’ no longer appears to be so solid – it almost looks as if there is some sort of double exposure or perhaps slight camera movement during the exposure? It also no longer convincingly looks like a physical ‘object’, in fact it is more likely in my opinion to be an optical illusion cause by lens flare from the Sun just out of shot to the right. 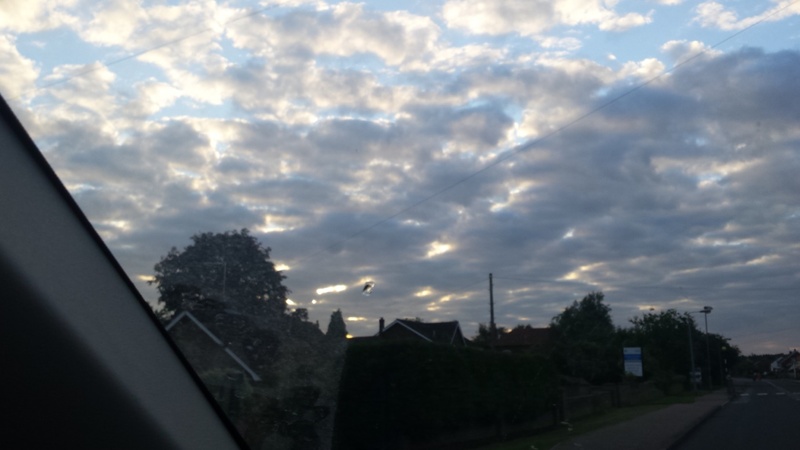 The photograph above was obviously taken through the windscreen of a car and shows what might be interpreted as a solid ‘UFO’ fairly low in the sky, just above the houses. However, one look at the sky reveals rain laden clouds, and although it does not appear to be actually raining at this time, my thoughts were that a rogue water droplet could have easily have fallen onto the screen. Enormous ‘mothercraft UFO’? Or what? (N.B. object was not seen with the naked eye at the time). Well, again we can clearly see that the photograph was taken through glass – most probably a car windscreen. Looking closely at the photograph we can see there are numerous reflections and can even read the time and date on the reflection of the parking voucher on the car’s dashboard. I would say we need to consider if the oval object might be a water droplet on the windscreen? It doesn’t appear to be raining but maybe the wind caused a drop of spray from the sea to land on the screen, and no object was seen in the sky probably because there was no object there? So, we need to ask, ‘if an image is captured through glass, could this affect the photograph?’ The answer is often, ‘yes’ absolutely! In conclusion to this article I would also like to point out that a majority of all sighting reports, that BUFORA now receives, are visual images and also video footage submitted by members of the public from around the UK and beyond. On behalf of BUFORA, I would also like to extend thanks to all members of the public who take the time to send in their photographs and footage for evaluation. Of course, visual images always need a completed BUFORA online sighting report form, as we cannot assess photographs and footage without full supporting information in order to have a more comprehensive understanding of the details surrounding the photograph and, more significantly, what was actually observed with the ‘naked eye’.